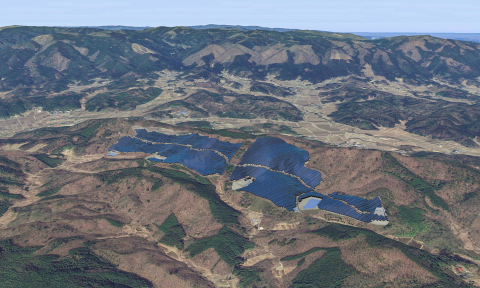 TOKYO, JAPAN--(eSolarEnergyNews)-- Pacifico Energy is pleased to announce the commencement of construction of its second solar power plant in the Tohoku region, the 42 MW (DC) Iwaki Mega Solar Power Plant, located in Iwaki City, Fukushima Prefecture. The plant will be constructed on approximately 50 hectares of land in Iwaki City, Fukushima Prefecture. Operations are expected to start in August 2019, following a 23 month construction period. Once commissioned, the plant will generate approximately 48 million kilowatt hours of electricity annually, representing an annual reduction of approximately 30,000 tonnes of CO2 emissions. Tohoku Electric Power Company will purchase all electricity generated by the plant. Toyo Engineering Corporation is appointed as EPC (Engineering, Procurement and Construction) provider. 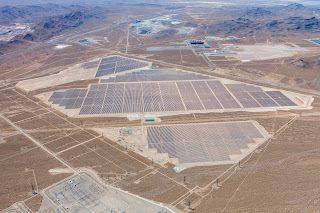 Trina Solar will provide PV module. LOS GATOS, CA--(eSolarEnergyNews)--Tigo®, pioneer of the smart modular Flex MLPE platform, today announced it now offers its customers the benefits of Amazon® Alexa™ technology via the new Tigo Skill, available on Alexa-enabled products. The Tigo Skill integration allows English- and German-speaking Tigo customers to use their voice to inquire about their PV production or other information collected by Tigo's SMART website. OKLAHOMA CITY, OK & SAN JOSE, CA --(eSolarEnergyNews)-- OGE Energy and SunPower today announced the two companies have signed a contract to build a 10-megawatt (AC) solar photovoltaic power plant in Covington, Okla. Construction on the plant is anticipated to commence next month. "The Covington project is a continuation of our successful pilot initiative, which launched with 2.5-megawatt solar facility in Mustang, Oklahoma, in 2015," said OG&E Chief Operating Officer Keith Mitchell.